Black Panther wins top prize at SAGs – Royal Times of Nigeria. 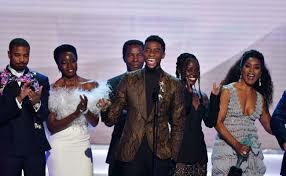 Superhero film Black Panther has won the top prize at the Screen Actors Guild awards (SAGs). The box office hit picked up best ensemble cast award in a motion picture, the SAG ceremony’s closest thing to a best film prize. Asked if Black Panther had changed the film industry, lead actor Chadwick Boseman who plays T’Challa said the film has changed what it means to be “young, gifted and black”. British winners included Emily Blunt for her performance in A Quiet Place. The actress picked up the prize for best supporting actress for the film, which was directed by and co-starred her husband John Krasinski. The SAGs have well and truly blown the Oscars race wide open, with Black Panther now being considered as a serious contender for the best picture Oscar. 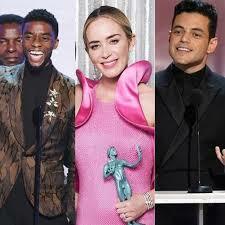 Bohemian Rhapsody picked up that prize at the Golden Globes, while Green Book won at the Producers’ Guild of America Awards.